Vegetable Peeler Only $2.08 PLUS FREE Shipping! You are here: Home / Great Deals / Amazon Deals / Vegetable Peeler Only $2.08 PLUS FREE Shipping! Everyone needs a vegetable peeler. If you have one at home, why not get one for the boat, camping gear or RV? 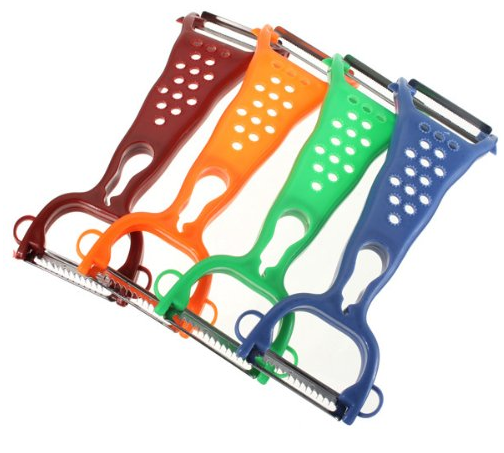 These cute peelers come in 4 colors; red, orange, green or blue. Get your own Vegetable Peeler for Only $2.08 PLUS FREE Shipping!